Organic farming is a farming practice without the use of pesticides or chemicals. It focuses on balancing the economic, social and environment elements. The suggested programme includes growing crops of high quality for the locals and preserving the natural environment. Participants can also experience and enjoy the farming fun. This area can serve as the location for occasional functions and activities. Locals and tourists can come together and enjoy their holiday. Outdoor activities area is a location for adventurous activities like grass skiing and rope courses where the younger ones can enjoy the sunny afternoon with sweat and fun. 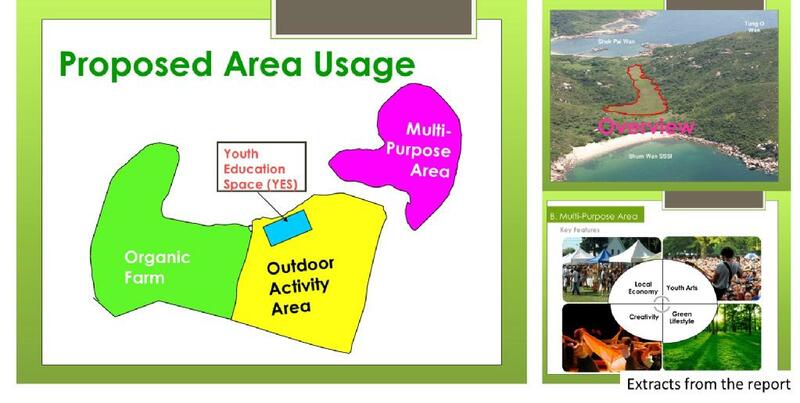 This space can conduct youth wild camps to train them for outdoor living skills like cooking and setting up tents. Team building games and nature discovering games can also spice up their night. If you’re interested to see their full report, please visit here.